League of Legends is Getting Older! Karthus, the Deathsinger, (normally 6300 IP) will be only 3150 IP! Twitch, the Plague Rat, (normally 6300 IP) will be only 3150 IP! 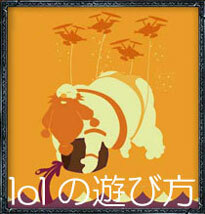 copyright © 2011 日本人のlol　League of Legends all rights reserved.